Chad Johnson added to his already impressive list of accomplishments. Chad Johnson can call himself a National Champion! 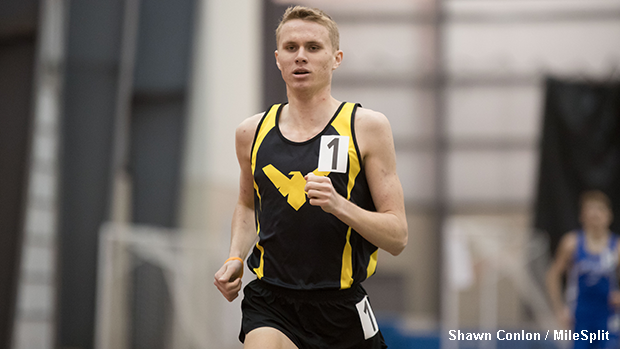 The Colonel Crawford senior recorded an outstanding time of 14.42.59 on Friday evening to win the 5000m race at New Balance Nationals Indoor in New York City. Johnson, who is a multiple time state cross country champion and the recent winner of the Ohio D2 / D3 1600m indoor title, unleashed a massive kick late to secure a two second victory over runner-up, Conner Nisbet of Delaware. The Iowa State University signee will now look to close his high school career with a stellar outdoor track and field season.